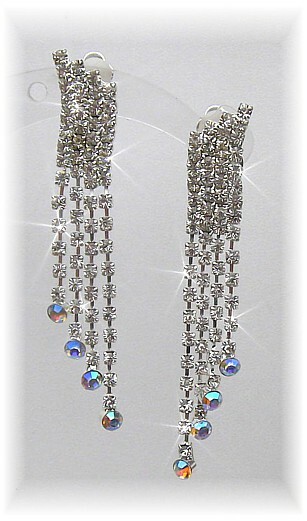 Distinctive 1920s-style rhinestone earrings, with solid band or clear rhinestones at the top and four graduated trails, which are tipped with aurora borealis rhinestones. Traditional clip backs, with comfort pads. Drop: 6.5cm (2½").